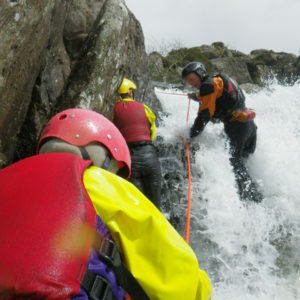 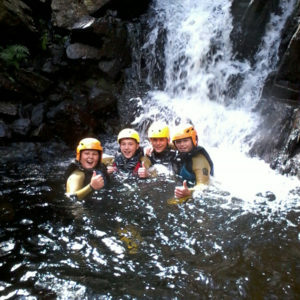 Gorge Walking in the Lake District is outdoor play time in wetsuits! 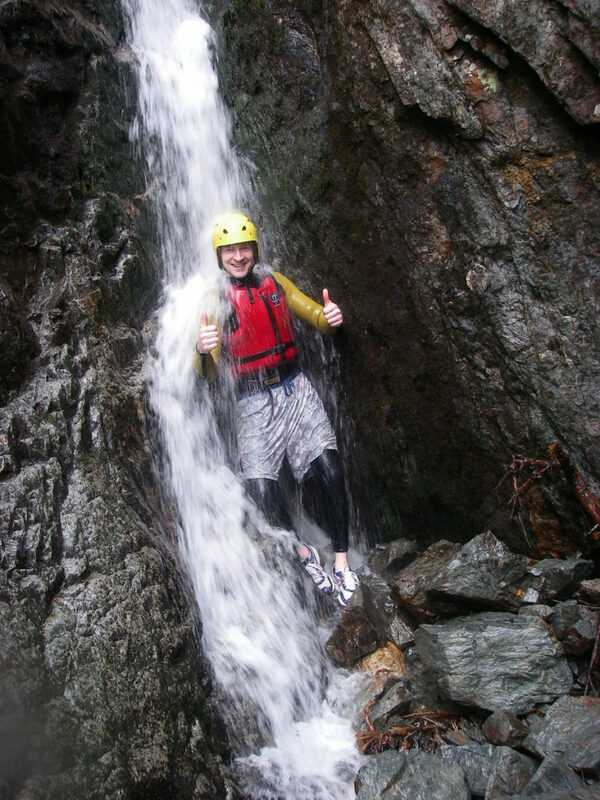 Gorge walking (aka Ghyll Scrambling) takes you up a steep sided beck (Lakeland river), walking in the path of the water, scrambling over rocks, traversing above pools and climbing up waterfalls. 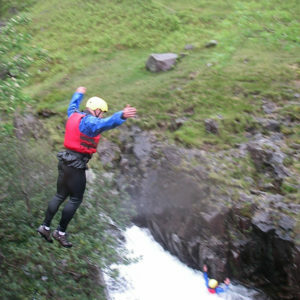 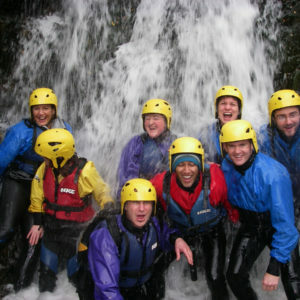 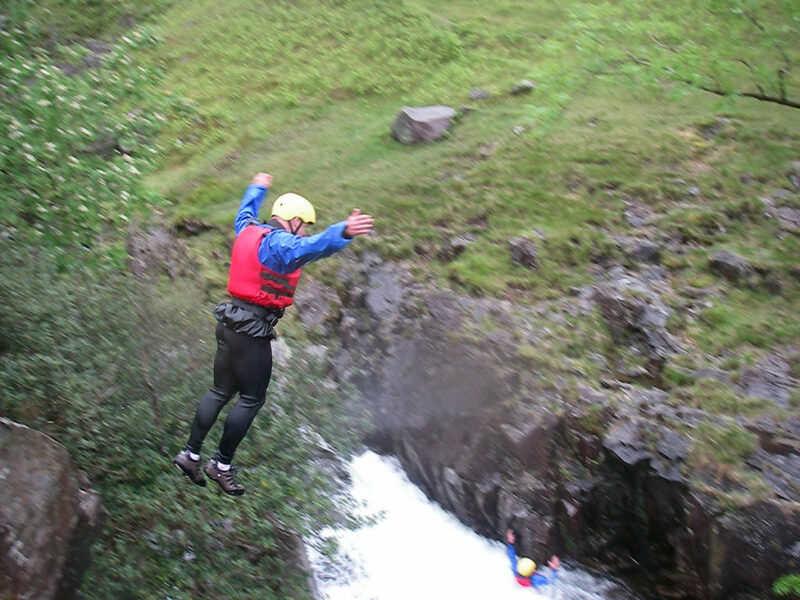 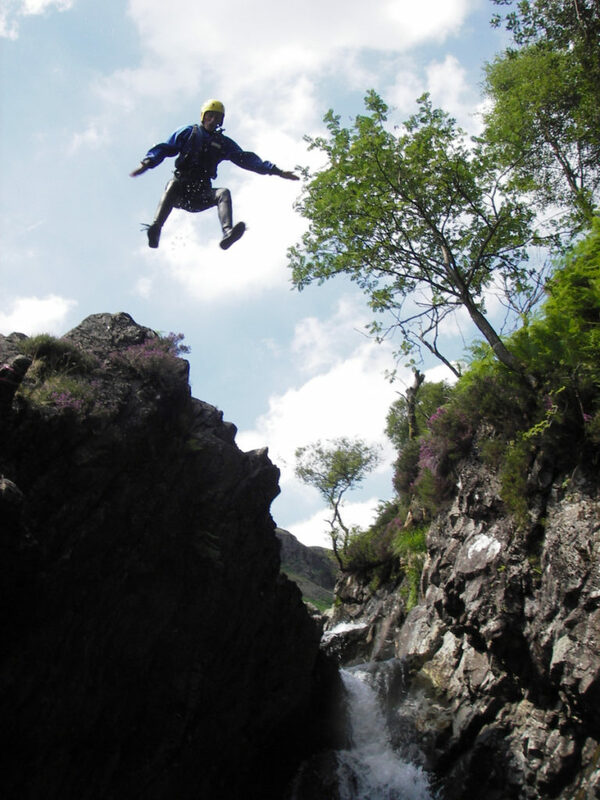 Gorge walking is the ultimate stag do activity! 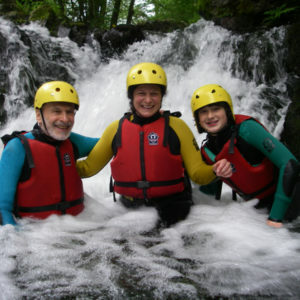 Put fun on the agenda with an activity that will be talked about for a long time! 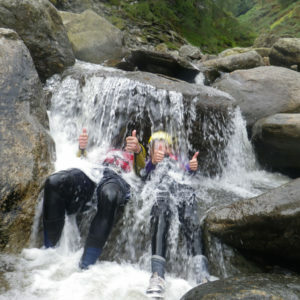 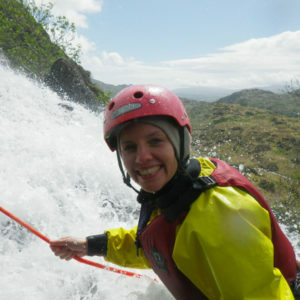 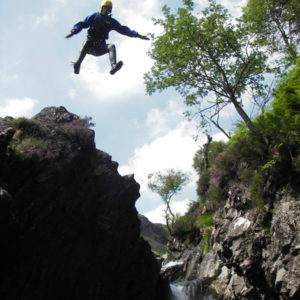 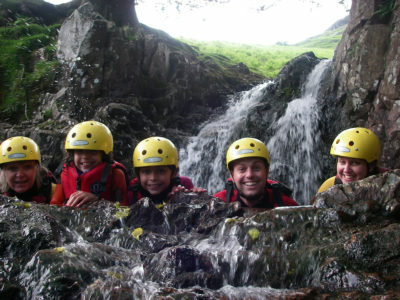 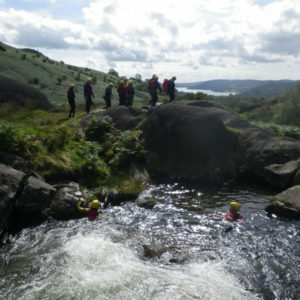 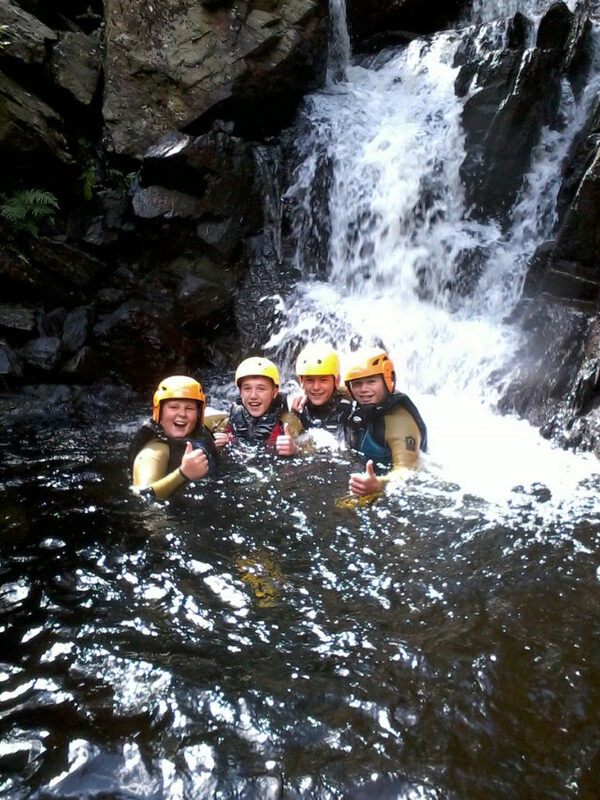 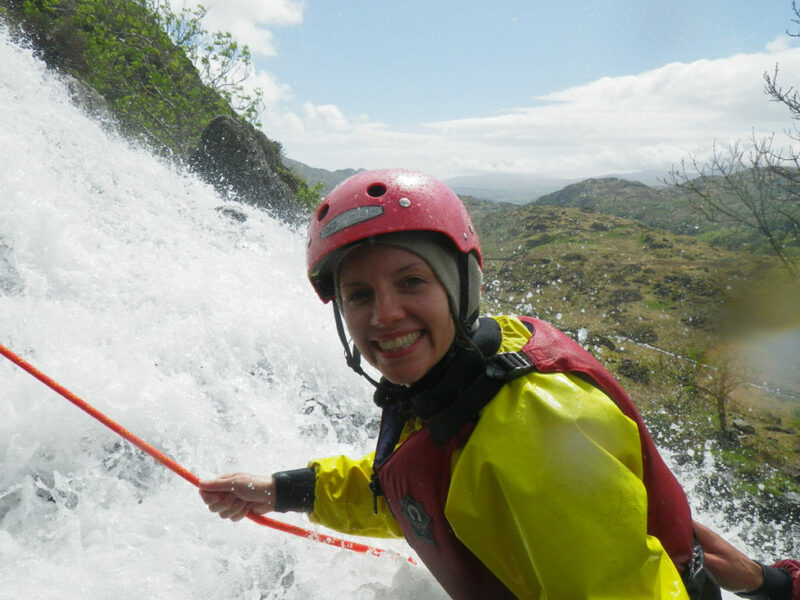 Gorge Walking in the Lake District is brilliant fun! 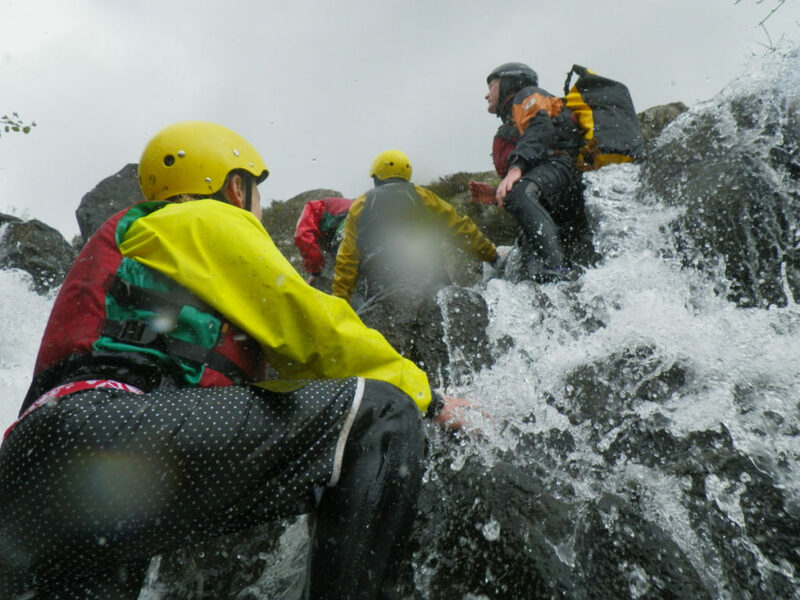 You may know that sometimes it rains in the Lake District, and if it is going to rain, then you will get wet, and if you’re going to get wet, you might as well have lots of fun at the same time! 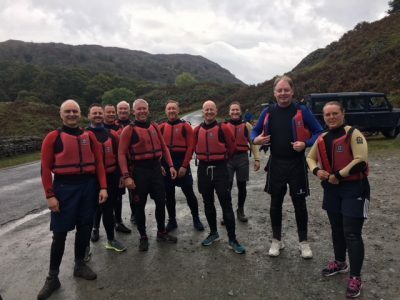 With a variety of locations in the Lake District, half days and full days, and brilliant staff, there’s a reason people come back to us again and again. 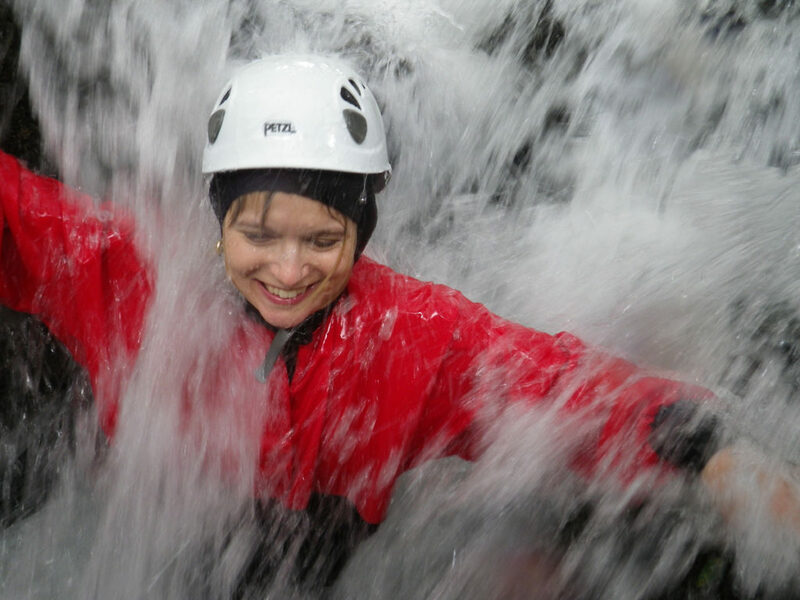 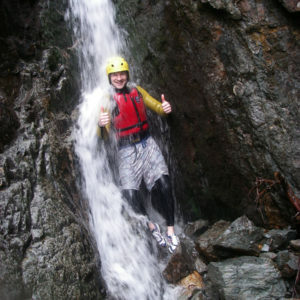 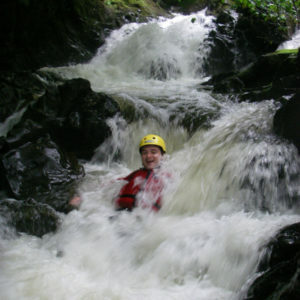 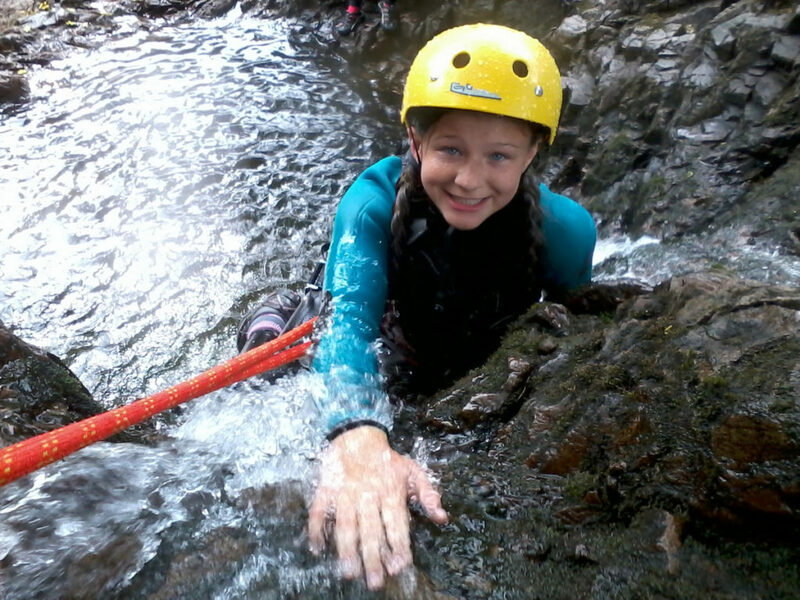 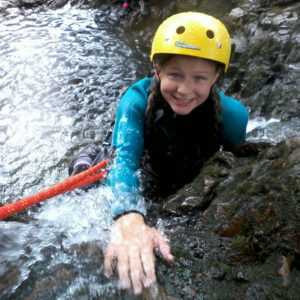 This is basically what gorge walking is – getting thoroughly soaked with a big smile on your face! 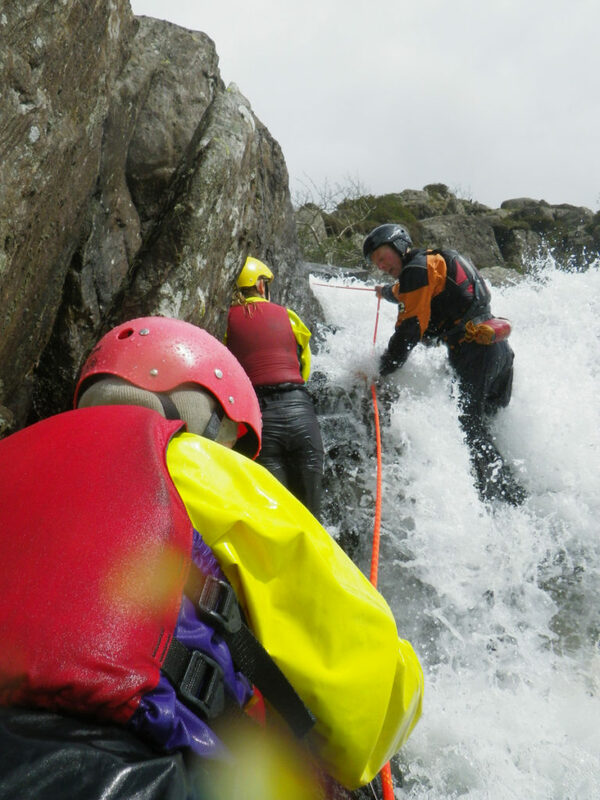 Don’t worry about the water though, because for gorge walking we provide a wetsuit, cag and buoyancy aid and other safety gear, so you won’t be too cold or uncomfortable. 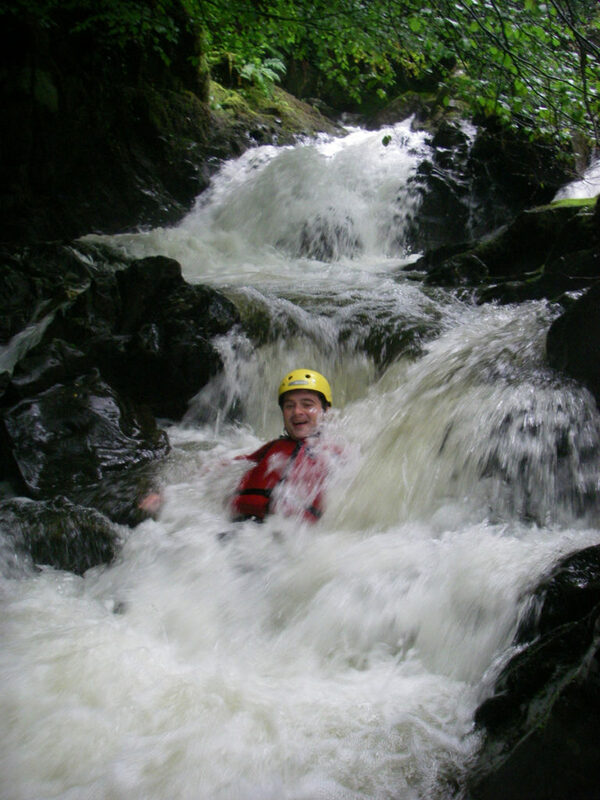 Our range of gorge walking venues include some which are wetter, some which are wilder, and some dryer with more scrambling. 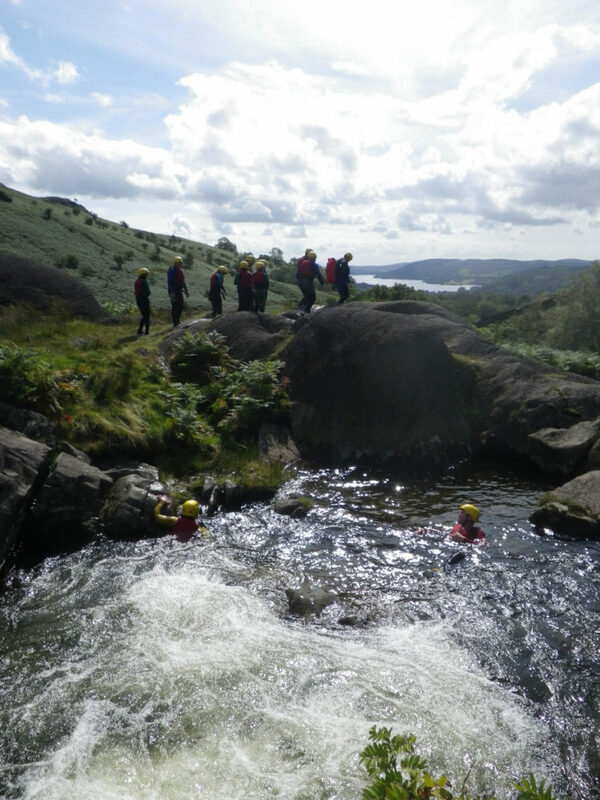 Generally with gorge walking in the Lake District there are some ‘Jacuzzis’ and not-so hot tubs en route, we swim across pools, jump in them and slide off rocks and waterfalls. 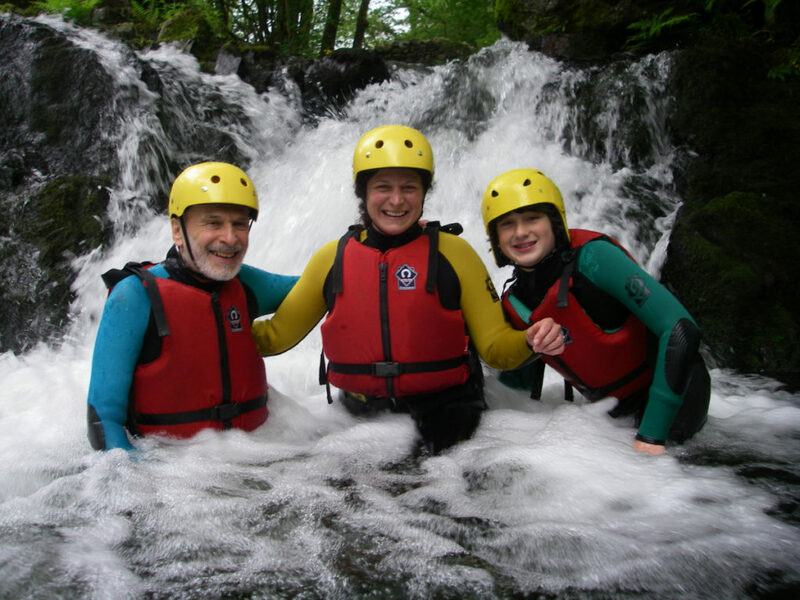 There are so many different gorge walking venues that offer you a totally different experience each time. 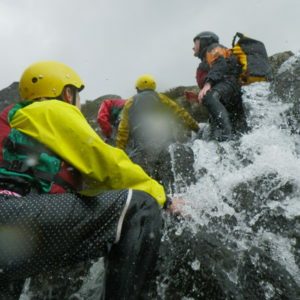 Lake District gorge walking can be climbing-based, scrambling-based or water-based, and many gorges have a variety of these different challenges. 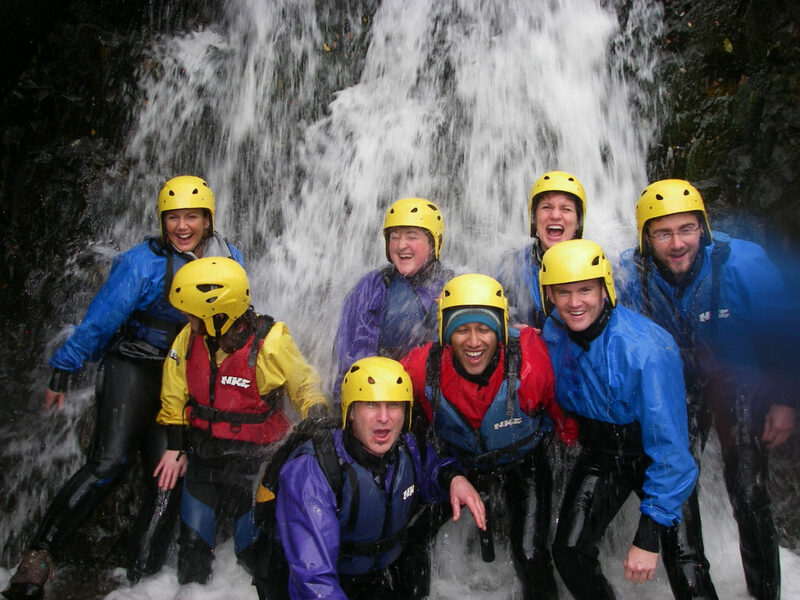 There are gorge walks that are great for the whole family, and other more extreme venues that work best with adult groups such as those on a corporate away day or hen and stag days. 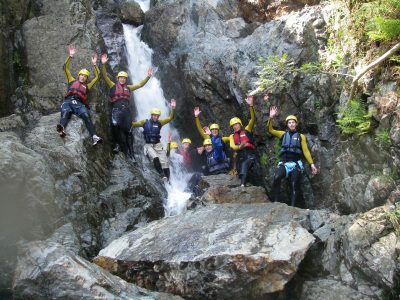 Gorge Walking is such an accessible activity that allows you to experience the true Lake District from within the gorges and rivers surrounded by the beautiful mountains. 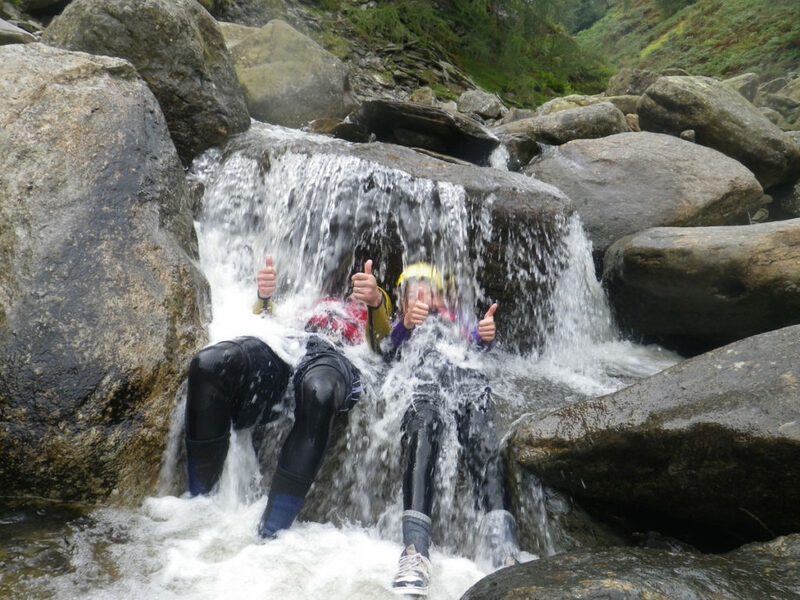 Gorge Walking happily runs from Easter until just before the October half term, and the Esk Gorge is available from the 21st April till the 21st Sept. Half day gorge walks can still be done outside of these periods for groups, on the understanding that the water will be very cold!